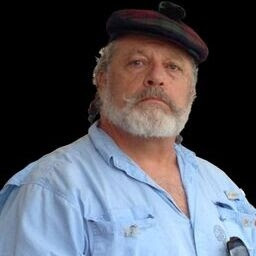 Author Jeff Lindsay created one of the most recognizable characters in pop culture with Dexter, the blood-spatter-pattern analyst for the police department who also leads a secret life as a serial killer. Lindsay wrote his eighth novel about that character in Dexter Is Dead, out this year. But what some of you may not know is Lindsay wrote crime fiction before Dexter, creating Key West’s ex-cop Billy Knight in Tropical Depression, published in 1994. 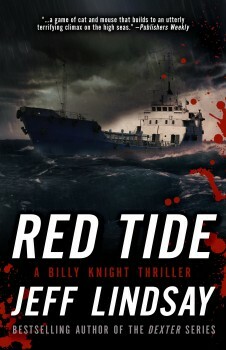 Now, over twenty years later, Jeff has written a sequel with Billy Knight called RED TIDE. Not many authors would return to the beginning, but this is Jeff Lindsay: a writer who breaks the mold. Lindsay takes chances and lets emotions bleed out on the page of every book. In this exclusive interview, he talks about shifting gears. Can you give us an inside look into RED TIDE? My protagonist, Billy Knight, has a good friend–Nicky, an Australian New Age guru. Nicky, by the way, is based on a good friend of mine; he really exists. Nicky strong-arms Billy into finding out who is killing a series of illegal Haitian immigrants. 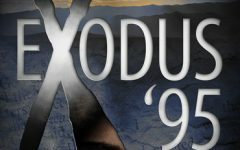 It ends up in a voodoo ceremony on the high seas–any more would be a spoiler. Tell us more about Billy Knight. Billy was a cop in L.A. He lost his wife and daughter to a botched hostage situation and retreated to Key West to become a fishing guide. But something keeps dragging him back into chasing dragons and rescuing maidens. Being the author of the books that spurred the tremendous hit show Dexter, when you started writing the character, did you expect this? What went into creating him? I never expected Dexter to get published, let alone become a cultural icon. I take it as an example of just how weird and troubled people are. Dexter himself was entirely made up, based on what I learned about homicidal sociopaths. Why did it take you so long to bring Billy Knight back? And when you go back and re-discover a character how is that feeling when you sit and start writing him again? Well, I did have a few other things going on…. You can’t really pause in the middle of the Dexter run and throw something else out there. Going back to Billy Knight was great. I’d forgotten all of it, and I found myself reading it–and really enjoying it–as if it had been written by somebody else. 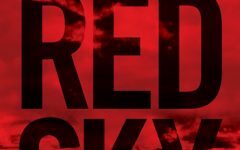 If RED TIDE had a soundtrack, what would be the title song? I don’t know…. “Back in Black”? I will have a new crime series out in the near future. I also have a bunch of ideas in other media, we’ll see if I can find the time for some of them. And I’m writing some new plays for the first time in 20 years – I’d like to see them produced somewhere.